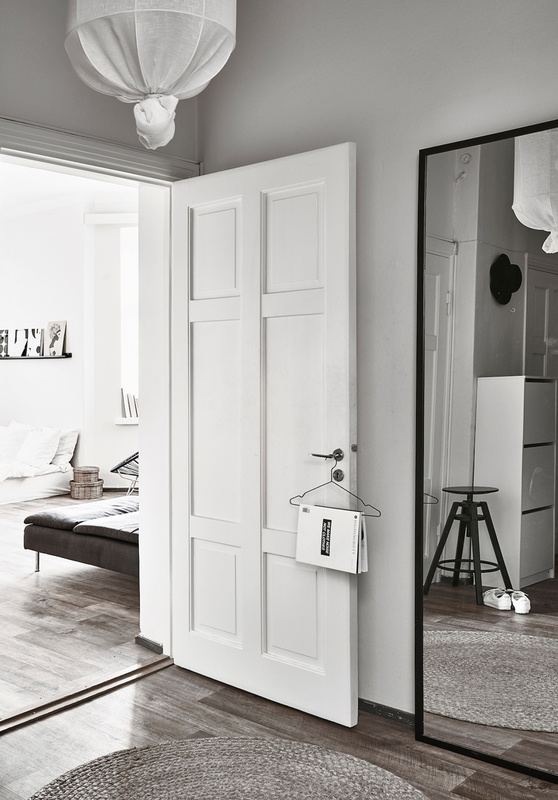 Laura Seppänen is a talented interior decorator and decorating editor from Finland. She contributed to super interesting projects such as the restaurant Block by Dylan, as well as to numerous, beautiful interiors like this one. 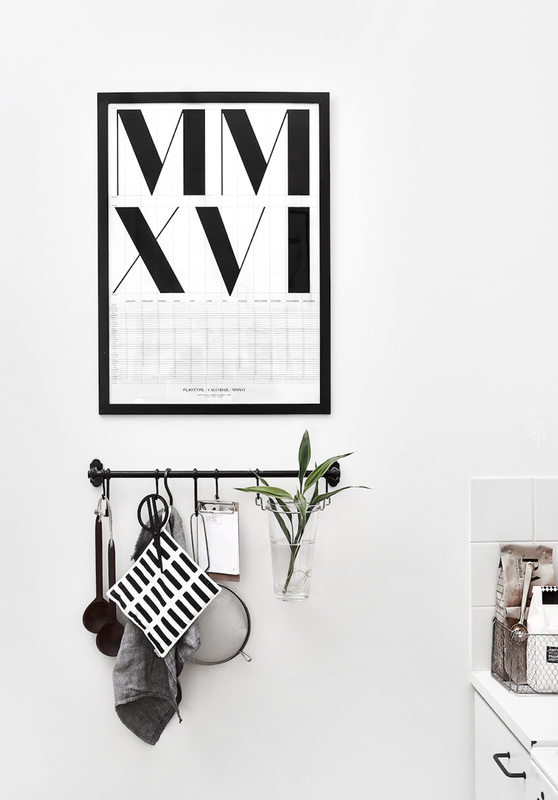 I just came across a few pictures from her home, photographed by Riikka Kantinkoski for an article published in magazine Avotakka last year. 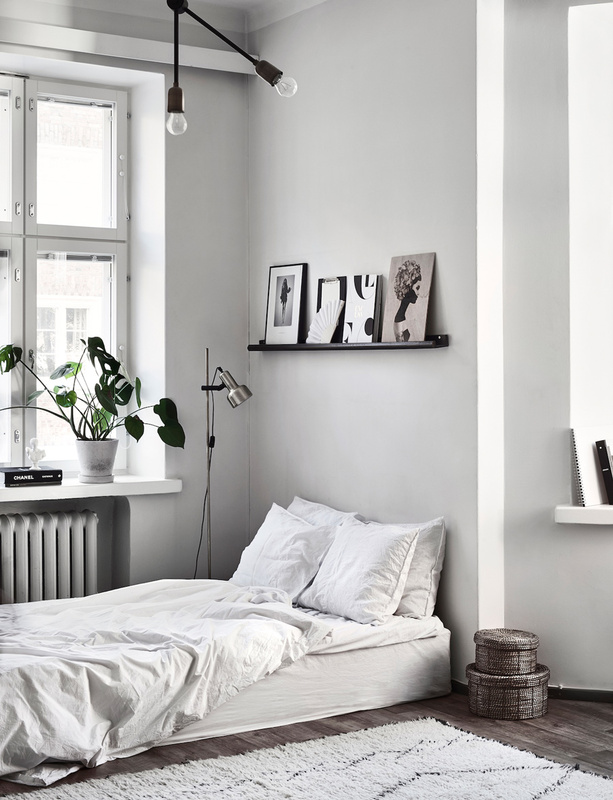 I like the place’s beautiful simplicity, with its monochrome palette consisting mostly of black and white, and with many graphic elements. 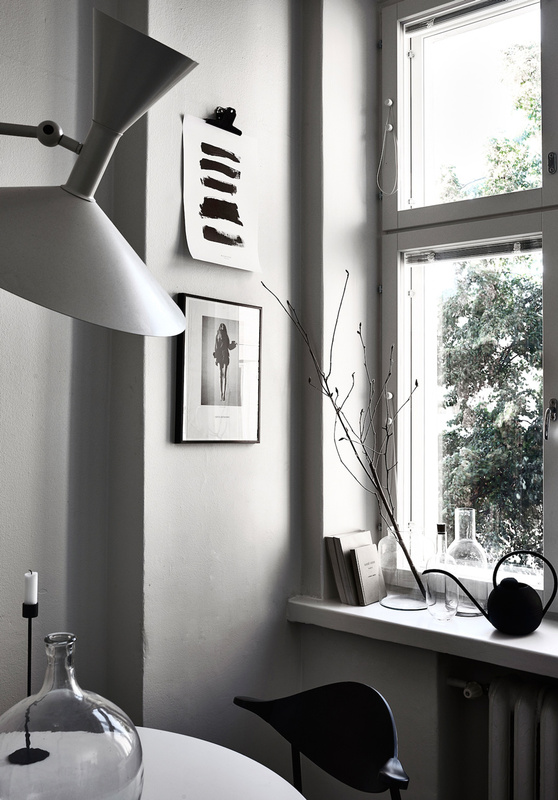 A lot of prints and posters ornate the walls of her small apartment, and she created beautiful displays. 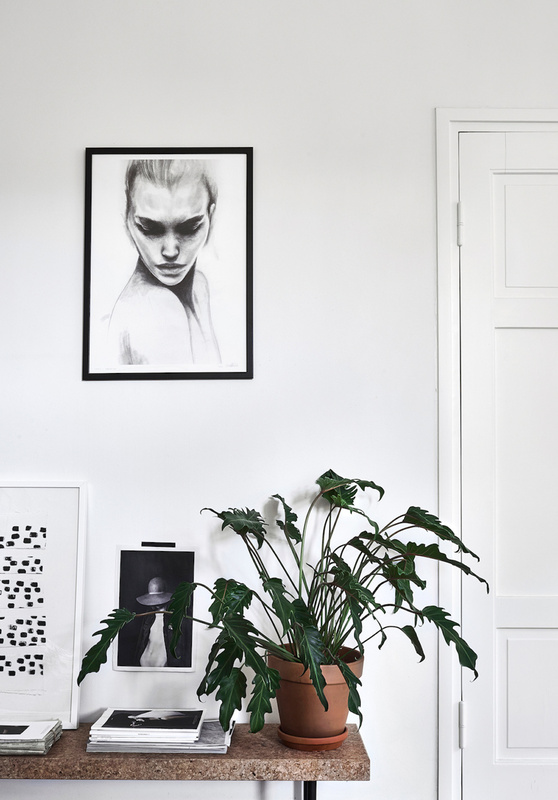 Notice how she combined styles, frame types and colors, as well as different ways to hang them on the wall, or simply presented on a picture ledge. 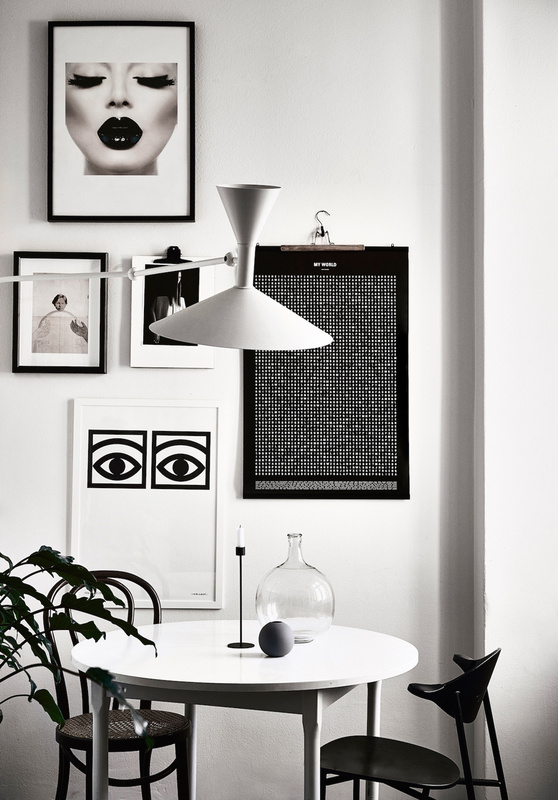 For similar prints, I recommend you visit The Poster Club and Desenio. 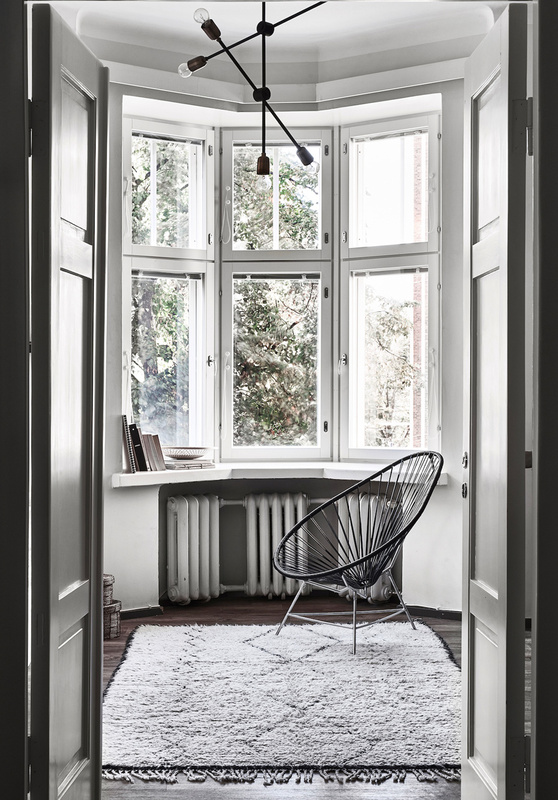 “Laura Seppänen is a Helsinki-based interior designer, stylist and decorating editor. She launched her own design agency in the beginning of 2015, that creates interiors for both public spaces and private homes. In addition to space planning she also manages and consults highly-visual web content and social media activities for different design companies. She works closely with various creative agencies, media houses and photographers in the fields of styling, picture building and writing work. To find out more about Laura, you can read my interview with her here.